From October 12 to 14, EMBARQ México (WRI Ross Center for Sustainable Cities’ team in Mexico) will host the XI Cities and Transport International Conference, where decision makers will participate in workshops and discuss urban planning to help Mexico City and other cities achieve better places to live, and urban design to protect human life. For more information on the Conference visit ciudadesytransporte.org. Since the advent of the car, cities have been designed around private vehicles. And now more than ever, cars are negatively impacting the lives of individuals living in urban areas—through congestion, air pollution and car crashes. Indeed, we have created a mentality that prioritizes the automobile over human life, an ideology particularly true in Mexico. 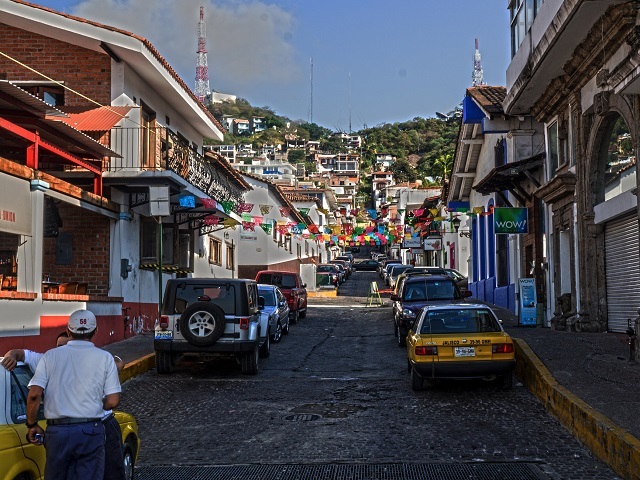 The problem seems on so grand a scale that it appears unapproachable; however, Mexico could make progress by passing a General Road Safety Law. Some cities have refused to tolerate the loss of life that is occurring on their roads, taking action to reduce traffic fatalities. Copenhagen, for example, launched a road safety campaign in 2009 and saw only 5 traffic fatalities that year. As Adriana Lobo, Executive Director of EMBARQ Mexico noted: Danish children are 10 times less likely to die in road incidents than children in Mexico. Indeed, in Mexico the leading cause of death for children aged 5-9 is road related (according to the National Institute of Statistics and Geography). Moreover, road crashes were the second leading cause of orphanhood in 2012. The World Health Organization ranks Mexico among the countries with the highest number of road crashes. According to data from 2013, over 15,000 people are killed every year in road traffic crashes in the country, with many more injured. With over 38 million vehicles registered in the country, and more added every day, Mexico must put into place the legal framework necessary for tackling its road safety problems. Poor road safety tragically costs Mexico human lives—which is reason enough to take action—but it is also costing the country money. Road crashes costs the country 1.069 percent of its GDP, which comes to a sum of almost 9 billion dollars (150 billion Mexican pesos), equivalent to 37 percent of all federal spending on health in 2011. For all of these reasons, Mexico urgently needs to pass a General Road Safety Law, which would allow the country to obtain the resources needed to meet plans, programs and projects that work to improve road safety. This legislation would provide a mandatory framework assigning resources to specific projects. With 35 countries having implemented the necessary to decrease road fatalities, there are plenty of models for Mexico to adapt. In the XI Cities and Transport International Congress hosted by EMBARQ México, international experts on road safety will meet in panels, workshops and various activities to address the problem of road safety in our cities from different perspectives. For more information, visit ciudadesytransporte.org.